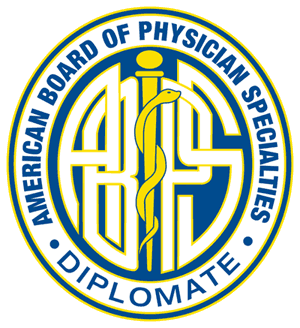 The ABPS Diplomate Mark identifies active physicians who have obtained Diplomate certification from one of the ABPS certifying Boards and serves as a visual symbol of demonstrated achievement and a credential verifying the physician’s skills and experience. Usage of the Mark is restricted to this group of physicians. ABOIM Diplomates may also utilize the Mark that distinguishes them as an integrative medicine specialist. Any other usage is a violation of Federal and State law.